Attracting nearly 700,000 Indian tourists, the federal constitutional monarchy of Malaysia is one of the popular and most affordable international destinations for Indians as this enchanting Southeast Asian country has an incredible mixing pot of cultures that blends Asian and European influence and also shares many similarities with India. From the rich cultural heritage of Penang to modernity in glittering Kuala Lumpur, the stunning white sand beaches of Langkawi, pristine rainforests of Sarawak, the endless shopping destinations to authentic Malay cuisine, Malaysia has a lot to offer to its visitor. If you want to experience all this as part of Malaysia Tour Packages but are not sure about the visa formalities for the same, here’s the comprehensive Malaysia Visa guide for you. A country rich in cultural heritage, glittering skyline and pristine natural beauty, Malaysia attracts millions of tourists every year especially Indians account to over 700,000. With such an impressive influx of Indian tourists, Malaysian government has made the visa process simpler by allowing Indians to get Malaysia visa online for tourist or visiting purpose in order to entice more Indians to visit Malaysia in 2017. This move has worked very well for Malaysia since more than 7 lakh tourists visited Malaysia in 2018 and this number is expected to grow by 30% in future. However, one need to apply for a Malaysia visa before your journey to Malaysia or even begins to dream of it. Basically, there are three types of Malaysia visa for Indian tourists. The eNTRI and eVisa are the most popular ones and these visas can be applied online or by sending the documents through the visa application centers in India. According your plans, you can choose the right Malaysia visa. Further, one can also get a Visa on Arrival but only in certain situations. Electronic Travel Registration & Information (eNTRI) is an online registration facility provided by the Malaysian Government to facilitate the entry of Indian Nationals and China citizens into Malaysia under the Visa Waiver Programme since 2017. The eNTRI for Tourist registration is open to all Indian Nationals residing in India as well as expatriates residing all over the world excluding Singapore. It will be issued as proof of the registration and can be obtained by making an eNTRI Registration via www.windowmalaysia.my. Upon completion of registration, the eNTRI Note can be printed immediately by the applicants and must be presented upon arrival in Malaysia. This is the easiest and the most cost effective Malaysian visa for Indians. It is valid for a single entry into Malaysia for up to a maximum of 15 days for tourism purposes only and is not extendable. One must apply for the eNTRI registration at least 48 hours before travelling to Malaysia by paying USD 20 which is subject to change. The validity period of eNTRI Note is 90 days from the issuance date and cannot be reapplied within 90 days. Indian tourists who want to stay more than 15 days in Malaysia need to apply for Malaysian eVisa before their departure. The eVISA is an online application platform that enables Indian nationals to apply for an electronic visa to enter Malaysia at the comfort of their convenience. These visas can be applied online at www.windowmalaysia.my either by yourself or with the help of a Malaysia visa expert. Only applicants who are holding a valid working visa or student visa are entitled to apply from countries other than their origin country except Malaysia, Singapore or Israel. If you are travelling in another country on vacation and holding a tourism visa of that country, you cannot apply eVISA online in order to visit Malaysia Tourist Places. It is advisable to apply your eVISA in your own country if you are planning to return to your origin country at the end of your travel. Otherwise, your other alternative is applying a normal paper visa at the High Commission, Consulate or Embassy of Malaysia nearest to you. There are two type eVISAs for Indian tourists to visit Malaysia. Indian citizens who want to visit Malaysia and stay for up to 30 days need to apply for a Malaysian 30 Days Single Entry eVISA. This single entry visa can be applied at least 2 weeks prior to the departure by paying INR 4000. It will be processed in 2-7 working days and cannot be extendable. The eVISA is valid for 3 months while eVISA holder is entitled to stay up to a maximum of 30 days in Malaysia and visit all the major attractions as part of Malaysia Packages. It cannot be reapplied within 90 days from the issuance date by the Department of Immigration Malaysia. Confirmed Return flight ticket to India, Singapore, Thailand, or Brunei. Citizens of India and the People’s Republic of China who wish to enter Malaysia multiple times for the purpose of a Social visit or Tourism are eligible to apply for the Multiple Entry eVisa. Tour groups are not eligible to apply for Multiple Entry Visa. The validity of the Multiple Entry Visa is 3 months while eVISA holder is entitled to stay up to a maximum of 30 days for each visit. This multiple entry eVisa visa can be applied at least 2 weeks prior to the departure by paying INR 4500 as it will take 2- 7 working days to process. This visa is not extendable and cannot be reapplied within 90 days from the date of issue. 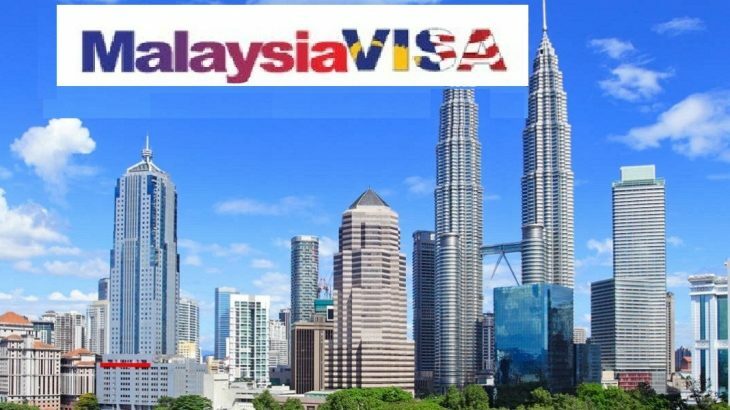 If you are an Indian tourist vacationing in Singapore, Thailand or Indonesia, whose next destination is Malaysia and you have valid visa from these respective countries, then a Visa on Arrival is the best option as you need not fill out a form and wait for days to get a separate visa. The process to obtain a Malaysia Visa on Arrival is a relatively simple process as one need to just submit the visa processing fee of USD 100 and a valid return ticket proof. It is a single entry visa and visitors are only allowed to stay for 7 days in Malaysia. The single entry visa is stamped on your passport upon arrival in Malaysia and is available 24×7 at Kuala Lumpur International Airport (KLIA), Kuala Lumpur International Airport 2 (KLIA2), Bayan Lepas International Airport – Pulau Pinang, Sultan Ismail, Senai Airport – Johor, Kota Kinabalu International Airport – Sabah and Kuching International Airport – Sarawak. If you enter Malaysia by land without a prior visa, you shall be granted a Visa only at Tuas – Sultan Abu Bakar Complex (Second Link). Usually the queue is large, one need to wait for at least 2 hours to get your Visa on Arrival. A Malaysia Visa on Arrival has a processing fee of 100 USD which costs more than a normal single entry or multiple entry visas. All, Destinations Malaysia, Malaysia Tour, Malaysia Tour Packages, Malaysia Tourism, Malaysia Trip, Malaysia Visa, Places to visit in Malaysia. permalink.